Court papers allege a conspiracy to lay the business low – so its founders can buy it back. 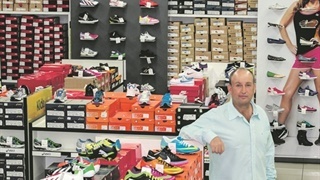 Former Tekkie Town management made a cheeky R2 billion offer for the business. An apparent turncoat technology expert says there was a co-ordinate attempt to hack the company. Things have gone from bad to worse in the rapidly-deteriorating relationship between JSE listed Steinhoff Africa Retail (STAR) and the former management of discount shoe chain Tekkie Town – who now stand accused of attempting corporate sabotage as part of a plot to force a fire sale of the business back to its founders. 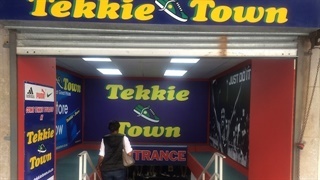 Papers filed in the Cape Town High Court claim an extraordinary plot to disrupt operations at Tekkie Town by hacking into IT systems, while the founders sought to negotiate a buyout of the 380-store business from its current owners. The relationship between the parties has not been an easy one but escalated dramatically last month with a mass walkout of more than 100 staff. Court documents, which include transcripts of phone conversations between senior IT staff past and present at Tekkie Town, allege a conspiracy of dirty tricks, corporate espionage, and a deliberate attempt to hack into and disable Tekkie Town’s points-of-sale system, and so wipe out its ability to process payments. STAR last week obtained an urgent court interdict against four members of the former Tekkie Town management team, including founder Braam van Huysteen and former CEO Bernard Mostert, expressly forbidding them from interfering in any way with company’s IT system or destabilising operations in any way. It comes amidst reports that the former team is planning to launch a rival chain, now that attempts to buy back the business have failed. The court papers say meetings were held between STAR chairman Jayendra Naidoo and Van Huysteen in an attempt to settle the dispute. It happened against the backdrop of rising tensions that eventually led to a mass walk out of about 110 staff from the Tekkie Town head office in George. Affidavits filed as part of court papers claim staff were guaranteed salaries in what appears to have been a co-ordinated exercise in brinkmanship to force a fire sale of assets. The papers suggest the former Tekkie Town management were prepared to pay R2 billion for Tekkie Town and would consider taking over the speciality division group of stores including Dunns, John Craig, Refinery, and Shoe City. Star is said to have wanted R3.8 billion. Despite at least two attempts to reach a deal, the parties were too far apart on price. In the meantime, transcripts of phone conversations between the ex chief information officer at Tekkie Town, Willem Wait, and subordinate Werner de Bruyn, suggest there was a behind-the-scenes attempt to wreak havoc with the firms IT systems, which led to the interdict being granted on Friday afternoon. De Bruyn, who admits to being drawn in by Wait, his former boss, who used ex CEO Mostert’s credit card to buy hard drives and other equipment to copy databases, downloaded emails, and allegedly stole information from the company mainframe. He later got cold feet and has delivered sworn testimony and provided recordings of conversations between himself former Tekkie Town managers. According to the papers filed by Steinhoff Speciality Fashion and Footwear, a division of STAR, 80% owned by disgraced global discount retailer Steinhoff, the mass resignation of staff from Tekkie Town in June was carefully orchestrated as part of a broader campaign to force the listed company to sell back the firm to its founders. The papers illustrate a series of frantic meetings between STAR CEO Leon Lourens and former Tekkie Town CEO Bernard Mostert after he first threatened a management walkout on 18 June. The pair met and resignations were suspended pending discussions about the future of the business. All the while, De Bruyn says, he was being tasked with downloading and backing up IT systems. The walkout happened a week later. On 25 June, De Bruyn says, Wait instructed him to sabotage Tekkie Town operating systems. De Bruyn says he hoped for a deal to be done before he would be instructed to formally sabotage the business and when discussions failed and the order was given to him to trigger a breakdown in systems, he got cold feet, called the company and admitted to being part of a plan hatched to undermine it. He switched sides in early July. 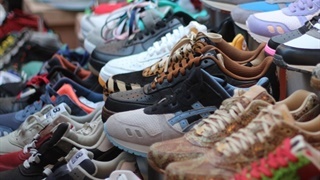 STAR has described its legal action as “regrettable” and said it remained committed to the future growth of Tekkie Town.